Road tripping is a fun and exciting adventure to try when exploring a country. Apart from the unique experience it offers, it just needs your driver’s license and a legit car rental service for your vehicle of choice. You are also not forced to join tourist buses and follow the itinerary of your tour guide. 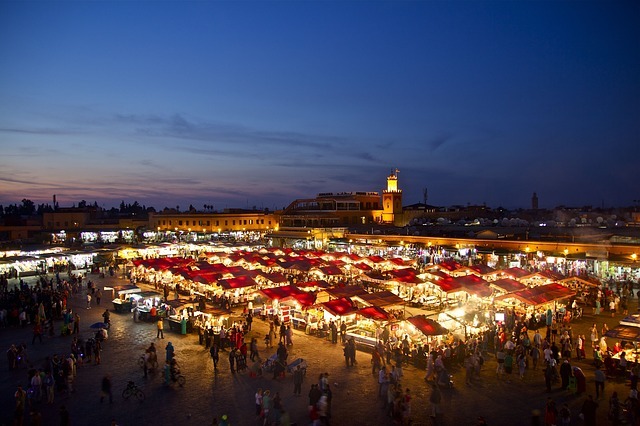 Morocco, with its strategic location, is perfect for a road tripping adventure. With your car rental in Casablanca and your gang ready, here are must destinations in Morocco you might want to consider. You can decide the number of days to spend on each city as well as tourist attractions to drop by. 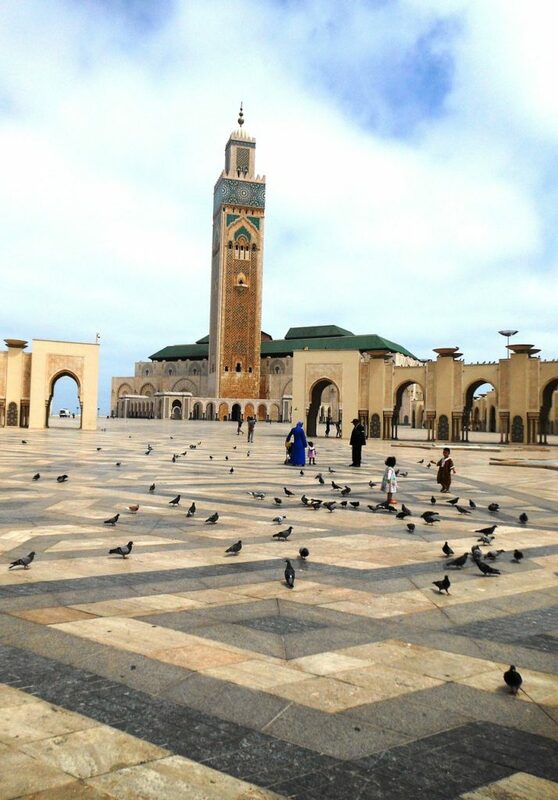 Casablanca might not be the country’s capital but it’s the main gateway to Morocco. It’s also one of the largest financial centers not just of the country but of the entire continent. With its time under some European countries, visitors can witness the influence of the nearby continent to Casablanca’s architecture. Meanwhile, modern designs interplay with Arabic-Islamic heritage in some districts. Interesting sights to cover on your stay include the Hassan II Mosque, Medina, Mohamed Palace, and Cathedral du Sacre Coeur. Hassan II Mosque, built in 1993, is one of the largest mosques in the world with its 9-hectare area. The mosque also got a distinction for the tallest minaret in the world for its 210-meter minaret. Of course, you’re not allowed to miss the Medina and its teeming history, where you can find the remnants of the past. It’s a great place for shopping but be sure to extend your patience when it comes to haggling. Last is the neo-gothic Casablanca Cathedral (Cathedral du Sacre Coeur) designed by French architect Paul Tournon. 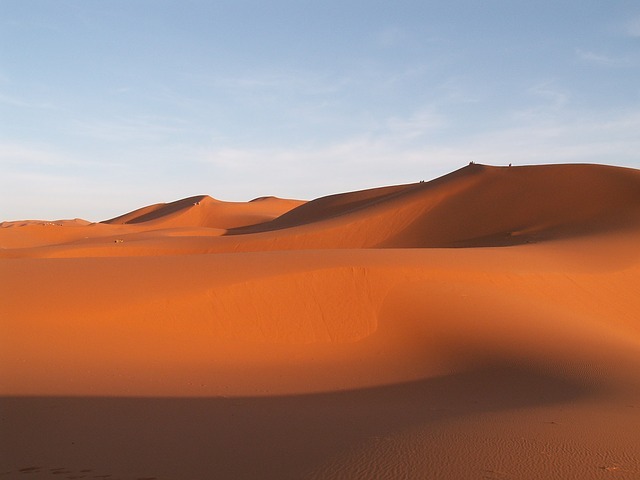 Take a 4-hour drive to Marrakech from Casablanca to experience the city that is built near the Saharan desert. 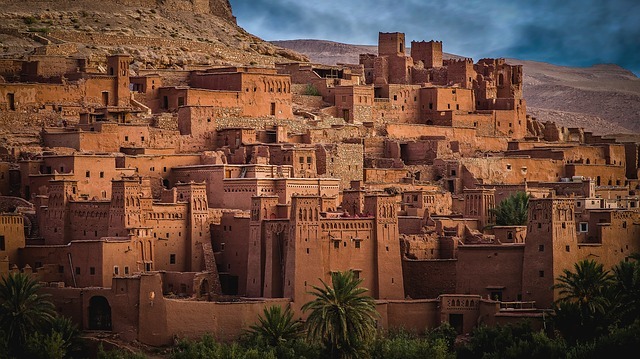 Known as the red city, because of the walls that surround it, it was once a former imperial city amassed by booming souks offering jewelry, textiles, and pottery, among others. The meandering alleys might be overwhelming for some because of the hordes of people but eventually, a great place to find brightly-colored spices, intricately knitted rugs, and other interesting goods. Just get ready and be smart enough to bargain with the vendors. Jemaa el-Fna is not hard to find since everyone converges on the square. The day starts with stalls selling either orange juice or water joined by the local entertainers that include snake charmers, dancing boys, magicians, and story-tellers. The ensemble of events draws more people in the evening when food stalls start to serve snacks for the spectators. This chaos makes Marrakech a perfect experience of the local culture. Farther on the east is Erfoud, located around nine hours from Marrakesh. The distance is a bit winding but the views along the way can be enjoyed momentarily since you have your own car service. Due to the Sahara Desert that surrounds it, the quaint oasis town already served as film locations for films such as the Prince of Persia and The Mummy to name a few. The town is situated near the Algerian border providing a Wild Wild West experience to travelers. One of the best views can be seen from Borj-Est, a military fortress across the Ziz to the east. One can marvel the desert, date palmery, and entire Erfoud from a bird’s eye view. If you are interested in archaeological artifacts, Museum of Fossils and Minerals is a haven for documentation and recording of Morocco’s rich geological heritage. This northeastern city is one of Morocco’s cultural capitals and it can be confirmed from sites such as the Bou Inania Madrasa, Al-Attarine Madrasa, Dar Batha, and Bab Bou Jeloud. It was once a capital of the country until 1925 and also a spiritual capital for most. Being a car-free zone in the world, Fez medina is considered a UNESCO heritage site. With its charms and pandemonium, the medina can be a haven or worst nightmare for travelers. In addition to the cultural sites mentioned are Marinid Tombs, a great vantage point overlooking Fez medina. Another one is Ibn Danan Synagogue, the only synagogue left in Fez built in the mid-seventeenth century. Of course, don’t ever miss the top-rated destination in the city, the leather tanneries. 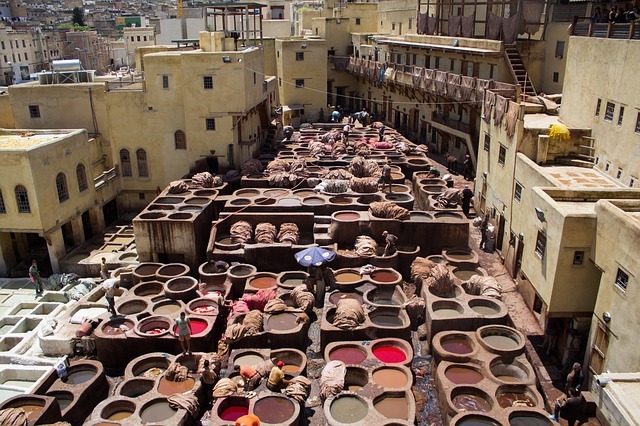 Chouara Tannery is one of the known tanneries in Fez. Before driving back to Casablanca, it’s mandatory to drop by Rabat, Morocco’s current capital. You can read a lot of articles about Rabat online because, in reality, the city has a plethora of attractions and activities to offer to tourists. Rabat’s waterfront is a great spot for cocktails during sunset and perfect to relish your journey around the country. The historic Chellah, standing on the remains of a pre-Islamic city abandoned in 1154, charms tourists with its forsaken buildings and prolific plants. 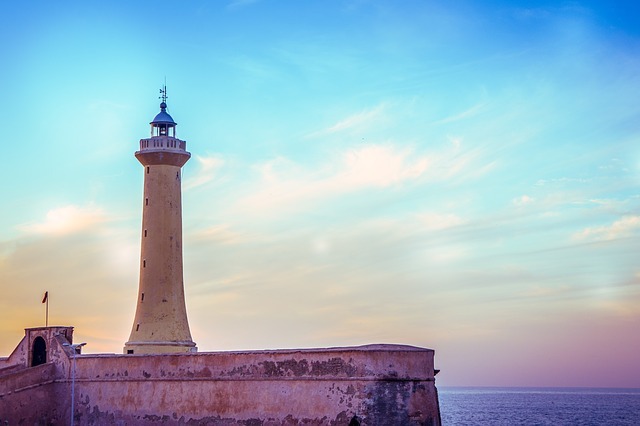 Other attractions worth visiting during your stay in Rabat are Hassan Tower and Tomb, Kasbah des Oudaias, Andalusian Gardens, King’s Palace, and the old medina. Traveling around Morocco in a car gives you the opportunity to explore beyond the usual attractions the country has to offer. The cheapest month of the year for renting a car in Morocco is January which is in the midst of the low season for tourism, but you can also get good deals in months like May and June that are more popular among international travelers. And even for the height of summer, which is July and August, there are attractive offers to take if you book well in advance. These five cities are only on the central part of the country and surely just a fraction of what Morocco has all about. If you still have more time, you might consider driving to the southern cities such as Essaouira, Agadir, and Tiznit. Photos from Pixabay, credit to the respective owners.